Mercy mains have been spared this patch, as the major Valkyrie nerf did not go live with the Blizzard World content drop. Junkrat won’t see his Concussion Mine nerf today, either. 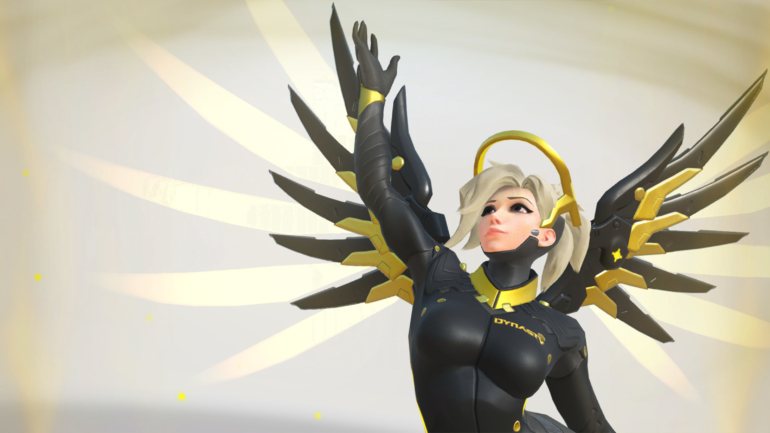 A patch has been in testing on Overwatch’s PTR that does a number on Mercy’s ultimate, making it a much less powerful ability. Junkrat’s adjustment is a bit less severe, as it reduces Concussion Mine’s blast radius damage. Overwatch game director Jeff Kaplan posted on the Overwatch forum on Jan. 10 to confirm the balance patch will not go live with the map. “The map/items are already in console certification, but the palace changes have not yet been submitted as we are still evaluating them,” Kaplan wrote. Kaplan did not give a definite timeline for the hero balance changes, though he noted they will likely drop “shortly after” today’s patch. The Blizzard World patch brings a ton of new content to Overwatch across PC, PlayStation 4, and Xbox One, including new skins, the Blizzard World map, and lots of other cosmetic items. All the new items have been added to Overwatch’s base loot boxes, as they’re not tied to any event.